Feelin’ Scrooge-y? Den fizzuck dat Chriznismas Schnizzle and get your Grinch on: How to Ruin Christmas! Tis the season! For cheap nostalgia of Christmases past! Our Most Memorable Presents! Bring on the booze! Ah, sweet delicious booze… What better way to consume it than by playing our Holiday TV Specials Drinking Games! Want to see Santa on Christmas morning? Leave him a batch of our special Santa Claus Knockout Cookies! Not sure if you’re getting coal or presents this year? Sounds like you better take our Naughty or Nice Quiz! The Van Gogh-Goghs are officially endorsing Senator Melonpants for Senate. Melonpants has served this country proudly during the last 6 years and will continue to make this country great. Unlike Governor Clamford, Melonpants will not sell out our children’s future, but fight to keep them alive at least until their brains are mature enough to eat. Not that Sen. Melonpants likes to eat brains or that he doesn’t like to eat brains. We’re just saying the Senator is looking out for the brain eating voters of America. And also those who don’t eat brains. Watch this documentary for a behind the scenes look at Senator Melonpants’ campaign. Make Halloween a National Holiday! Friends, isn’t it past time that we made Halloween, a national, government-approved holiday? Halloween is a wonderful, magical event when the whole family gets together and has a terrific time, no matter what their race, religion or sexual orientation. Why should this marvelous time of community and family bonding be forced to hobble along in its current, semi-observed, legal limbo? Oh, I can hear the protests now. Halloween is satanic! Halloween encourages hooliganism! 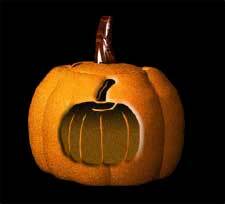 Halloween apples are chock full of razor blades! Halloween is antisemitic! Let me tell you something. Halloween isn’t about Satan. It isn’t about paganism. It isn’t even about hallows, whatever the hell they are. It’s about candy, dammit! Candy, candy, candy!!! Now granted, apples could have razor blades in them, which is why they should all be banned, period. And as for candy apples, that unholy hybrid of candy and noncandy, you don’t even want to get me started. But do you know what so-called Christians’ real objection to Halloween is? We got free candy coming to us and those bastards don’t want to have to give it to us. Did you know that right now, we only have THREE holidays dedicated to candy? That’s right, Valentine’s Day, Easter and Halloween and that’s it! And how many are recognized by the government?! One! That’s how tenuous our position is! One good push by the Christian Coalition, and these “satanic” and “heathen” holidays couldbe gone and millions of children could go candyless 11 months of the year. Without government recognition, Valentine’s Day and Halloween could be gone just like that, and there wouldn’t be a thing we good-hearted, candy-loving citizens could do about it. It’s bad enough as it is that we have to wait months, MONTHS, between candy-dispensing holidays. At the very least, let us start giving candy away on otherwise completely useless legal holidays like Columbus Day. Why we have a whole holiday for some city in Ohio is beyond me. But if we have to, we might as well get some candy out of it. Or why don’t we rename it for Hershey, Pennsylvania, the candiest city in the good ole US of A? Happy Hershey Day! Okay, maybe that focuses too much on one particular company, and that’s unfair to M&M Mars. They do good work, too. And what about Martin Luther King, Jr. Day? Why does he get a holiday? Did Martin Luther King, Jr. ever distribute candy? Possibly, but not widely. He certainly did not bring enough for everyone at all those speeches he gave. And speeches are boring! Get to the candy, already, I find myself saying in the middle of speeches. We have got to stop creating holidays for people who give speeches (presidents, veterans, labor, MLK, Jr.) and create more holidays where candy is distributed, like our good, good friend Halloween. Many of you are probably saying, what about the government-approved holidays dedicated to really big dinners, Thanksgiving and Christmas? What about the grilling and barbecuing holiday, the Fourth of July? And the drinking holiday, New Year’s Eve? Look, these holidays are all well and good. But they don’t get us any more #@$*! candy, now do they?! Obviously, the government has a vested interest in seeing its citizens well fed and completely inebriated. But it does not have such an interest in seeing its citizens fat and toothless from candy. How long are we going to put up with this monstrous injustice of naked, hateful, anti-candy prejudice?! We have a right, nay a duty, to eat as much candy as we want- dinner be damned, flab be damned, and dentists be damned. Before it’s too late, I urge all of you, in the name of candy, to make Halloween a national holiday! For the love of candy, write your congressperson! Do it for the children! Do it for Halloween! But most of all, do it for the candy! Posted in Update | Comments Off on Make Halloween a National Holiday! The Rocklopedia Fakebandica is on the air! This Sunday, Sunday, SUNDAY, July 24th at 9pm Central Time, the fine and highly intelligent folks at Minnesota Public Radio will be presenting a radio show about The Rocklopedia Fakebandica! Tune in to 89.3 The Current to ”The Current Presents” to catch it, or listen online here. Posted in Update | Comments Off on The Rocklopedia Fakebandica is on the air! Happy 50th Anniversary of Soviet Space Superiority! Make for glorious triumph Yuri Gagarin of FIFTY years ago spaceman in space to being first over American pigdogs. Posted in Announcements, Update | Comments Off on Happy 50th Anniversary of Soviet Space Superiority! 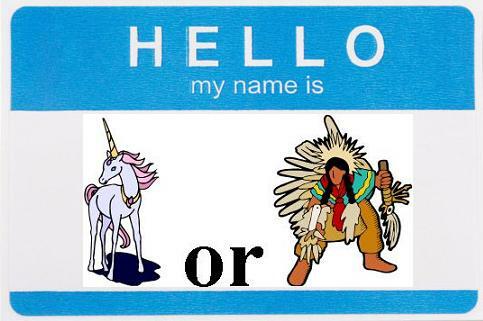 Say friends, do you have an unnamed unicorn or Native American just sitting around the place? Are tired of shouting “Hey! You there!” and not knowing which unicorn or Native American might respond to your call?